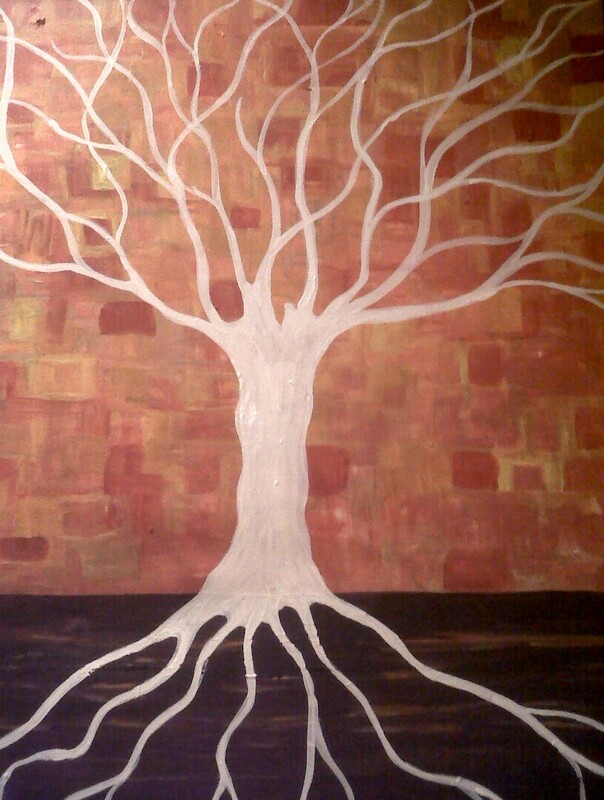 I tried very hard not to paint another tree…. before long I really will be called Tree Lady ! But there is something so alluring and soulful about trees which draws me in again and again… They are the connection between heaven and earth. I wish I could see beneath the earth and view what I can only imagine to be an amazing root system. 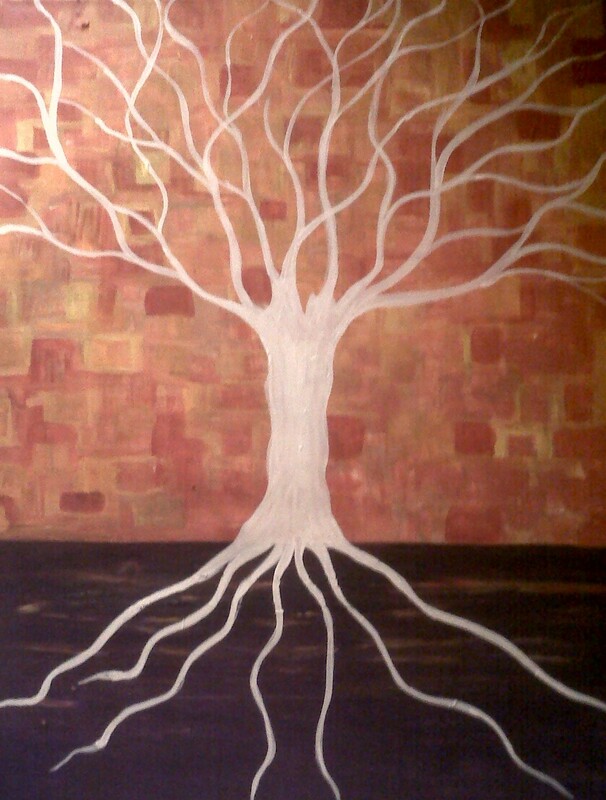 We have all been the roots… trying to find our way from dark into light……. This entry was posted in ART, Art by Jacqui Hawk. Bookmark the permalink.